This article discusses things to do on your first week at work. 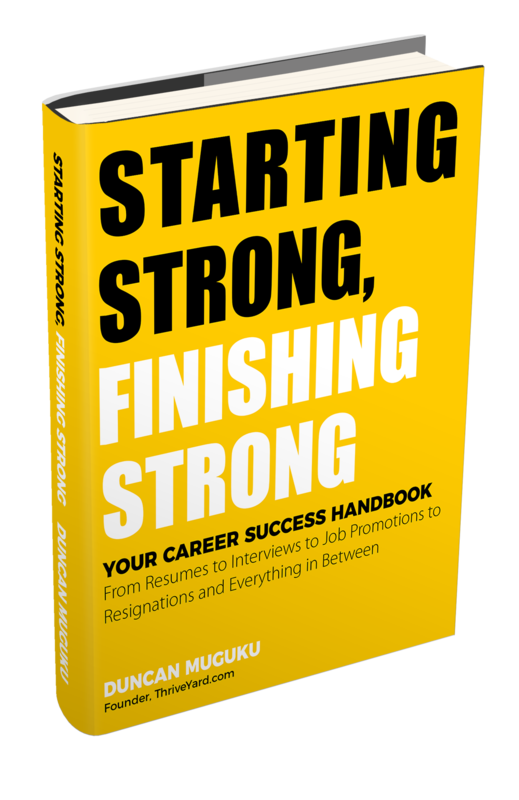 It provides key pointers on how to navigate your first week at a new job. What should you do on your first week at a new job? Congratulations! You wrote the cover letter and resume, applied for the job, aced the interview or interviews, got the job offer and you are now about to start your new job. Many thoughts and questions are racing through your mind including: What should I do on my first day of work? How will it be working in this company? Will I fit in? Will I be able to do the work? How will my new boss be like? What will my colleagues be like? What is the company culture? What are the written and unwritten rules? And many more questions. For now just slow down and take it one day at a time, and focus on getting through your first week. You can quickly skim all the 48 tips on the table of contents below and then click on any tip to read further details. Please enjoy reading. Thank you. Did You Bring the Completed and Signed HR Paperwork? Should you Eat at your Desk or Away from it? It’s 5 o’clock Now What? Different companies have different traditions for their first day onboarding of new staff. Some proactive companies typically send out an email to all staff or the respective department’s staff informing them that a new colleague will be joining soon. Some thoughtful HR teams even send out a brief biography and a photo of the new staff person. So when you actually start your first day you are not a complete stranger. On the other hand some companies are either behind the curve or too busy to send out a heads-up that a new colleague will be starting work. In some companies, you could spend most of your first day if not the entire day in the human resources office completing personnel forms and getting company orientation. Of course you could also spend some time with the Information Technology team learning how to use the office equipment and software or you could be handed some detailed “do it yourself” documents and instructions on how you can use the equipment and access the company’s network. You could get flooded and overwhelmed with onboarding trainings and data dumps, with endless reference manuals, policies, standard operating procedures and how to documents that you need to read in addition to meeting many new people and getting a feel of the critical written and unwritten rules for the company. On the eve of your first day at a new job, make a conscious effort to mentally prepare yourself for your first day at work at your new job. Prepare the clothes that you will wear, eat your dinner early, set your alarm clock, sleep early, and wake up early and rested. It is a good idea to watch the weather forecast to know what adjustments you might have to make, for example, if it will rain carry an umbrella and allow more time for your morning commute. On day one it is safe to err on the side of dressing smartly and professionally. Later on as you observe the company dressing code you could either dial it up or down a notch as appropriate. Ensure that you eat your breakfast even if you might feel tempted to skip it. Pack your lunch and carry your water bottle. It is very important to stay well hydrated throughout the work day. Carry a pen and a notepad to take critical notes. Assuming that you had gone for a couple of on-site interviews, by now you would have a good idea of what a commute to the new office looks like. Give yourself plenty of time to travel so that you arrive on time. If you hadn’t gone for interviews at the exact location where you will be working, it is a good idea to do a dry run to the new office location prior to your first day of work to get a mental idea of what the commute is like and to visually identify where the physical office is. 6. Did You Bring the Completed and Signed HR Paperwork? You might have been requested to complete employment application forms and present them on your first day of employment together with some proof of identity and eligibility to work/employment authorization documentation. This is usually detailed out on USCIS Form I-9 (United States Citizenship and Immigration Services, Employment Eligibility Verification Form) such as citizenship proof, permanent resident card, driver’s license, social security card or work permit. Ensure that you carry the relevant documentation with you on your first day of employment. When you arrive at the office, one of your key missions is to observe and take in as much visual information as you can. Watch what time other colleagues arrive. What do they do when they get to the office? Do they greet one another and chit chat a little or do they go straight to their desks and start working? Do they make some coffee? Keep observing what is going on around you throughout your first week. Don’t go too wild and overboard with personalizing your workspace. Look around and notice how other staff have personalized their workspaces. Do they have some photos of loved ones, flowers, plants, decorations, artifacts, wall hangings or cube hangings. After you are satisfied with your observations, then you can go ahead and do your initial personalization along the generally accepted personalization standards. You can tweak this in the future once you have gotten a better lay of the land. Be friendly, smile and say a nice warm hello to others. Introduce yourself and give a firm and strong handshake. Be ready to keep repeating a brief introductory speech about yourself: who you are, what you will be doing, which department you will be working for, who you will be reporting to, where you used to work before, where you live, where you went to school, how your morning commute was and other small talk. Keep in mind that not everyone would know what your role is so be prepared to briefly explain your new job to others – perhaps you might want to brush up a little bit on the job description. You will be doing a great deal of listening on your first day and the subsequent days. Listen a lot, listen attentively, maintain good eye contact and show enthusiasm. Be a sponge and absorb as much information as you can. Take good notes and read them later to refresh your memory. No one expects you to remember everything that you learn on your first few days at work but you can make a positive impression by quickly remembering critical details such as people’s names. Try to memorize people’s names and titles, you can also write down this information. Get to know your office surroundings quickly. Among other things, you will need to find out the following: Where is your desk? Where is your boss’ office/desk/cubicle? Where is the incoming and outgoing mail located? Where is the bathroom located? What are the codes for the bathroom or where are the keys located? Where are the office supplies located? Where is the kitchen, fridge, and microwave? Where is trash thrown and where is recycling located? It is essential to know the meeting room protocols such as not using a permanent marker on a whiteboard, always cleaning up the whiteboard after your meeting ends, switch off lights when you leave a meeting room and how to reserve a meeting room. Others are how to operate a conference call line, what codes to use, how to regulate conference call volume, ending meetings on time in order not to inconvenience the next team that will use the room and tidying up the room for the next meeting. Office kitchen etiquette could be small details but they have the potential to be landmines and affect people’s perceptions about you when you run afoul of the rules. It is vital to know: What is the policy regarding dirty dishes, dirty coffee mugs and dirty sinks? What is the policy regarding using the dishwasher (for example only run the dishwasher once a day, or when it is full of dishes)? What is the policy regarding using the microwave and the fridge? What is the recycling policy? 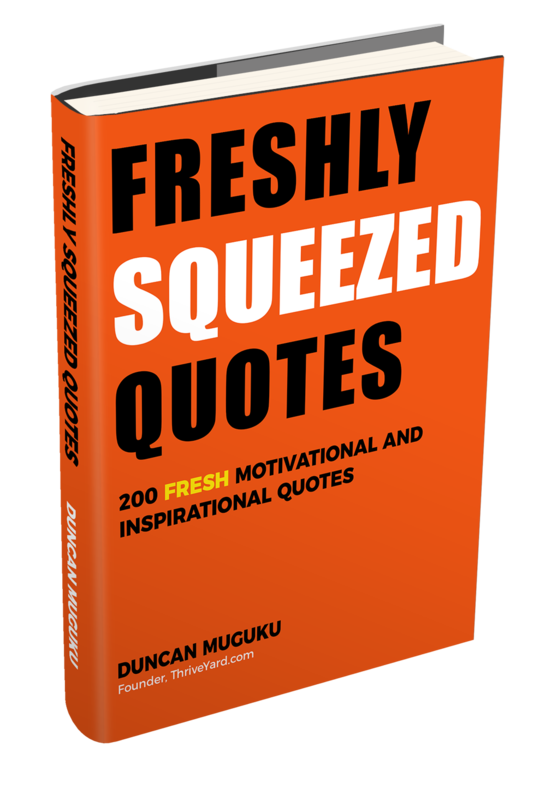 In most offices, you are expected to clean your dirty dishes – do not leave dirty dishes on the sink – who do you expect to clean up after you? Similarly you are expected to cover your food when warming it on the microwave to avoid making a mess. Do not keep food for many days in the fridge to avoid unhygienic conditions (no science experiments in the fridge). Also fridge space is valuable ‘real estate’, to avoid ‘fridge space wars’, be considerate of the size of your lunch bag and how much space it occupies in the fridge. Be very careful especially about kitchen etiquette missteps because they could be pet peeves of some staff and it can alter their opinion about you if they see you violating these simple norms on your first week, especially if you are a consistent repeat offender. The same also goes for leaving dirty dishes standing on your desk for long periods of time or hoarding all the coffee mugs. Personal browsing during your first week on the job is a no-no. Do not also browse social media even if you see other colleagues browsing. Take any free time that you have to familiarize yourself with work related activities such as finding out where work files and documents are saved on shared networks and which sections of the network and folders you are authorized to access. You could also browse the Intranet, if there is one, to familiarize yourself with it. There are those critical policies and procedures that you must read within the first few days at your new job. For example some companies require new staff to read the Employee Handbook immediately and even sign an acknowledgement confirming that they have read the handbook. Familiarize yourself with key policies and procedures around items such as employee conduct, attendance and time off, timesheets, expense reports, procurement of goods and services, confidentiality agreements, conflict resolution, business ethics, use of technology and equipment and employee relations among others. The first week is all about learning and what better way to learn than asking questions. Ask lots of questions in a kind and respectful way but don’t go overboard with questions. It is a good idea to write down your questions beforehand. You should be conscious of your body language as a new staff. You could be saying one thing with your words but your body language could be saying something different. People notice nonverbal signals and interpret them accordingly. Be sure to synchronize both your verbal and nonverbal signals so that your communication is not in conflict. Strive to have a confident, open and welcoming posture and demeanor. Show that you are happy to be joining the company. Let your enthusiasm shine through and be visible in your facial expressions, words and tone of your voice. Encourage yourself by thinking good and healthy thoughts. Don’t focus on nervousness and overcome any fear and shyness that you might be feeling. Avoid negativity. Have a good time and maintain a positive attitude. 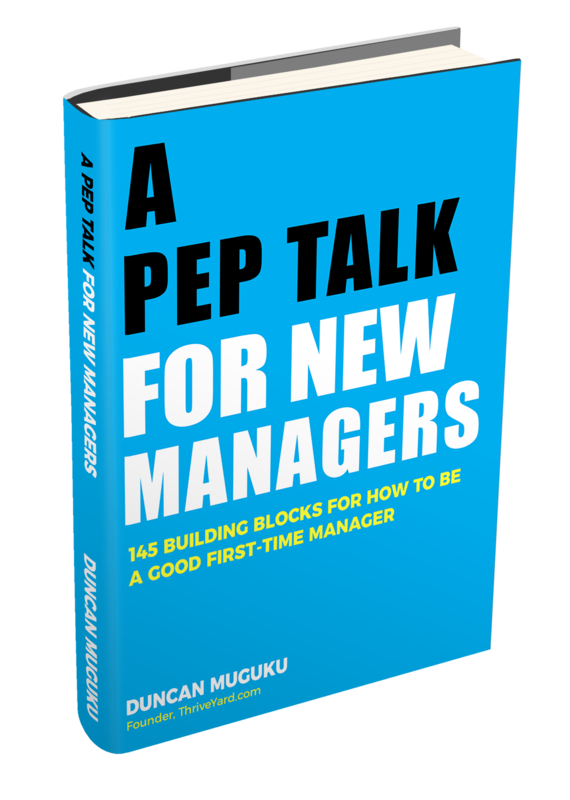 By projecting a positive demeanor, you will leave a favorable impression on your new colleagues. A good rule of thumb for the office is to always keep your cell phone on vibrate whether it is your first day of work or your tenth year. Be considerate of others. On your first week it is best not to talk on your cellphone in the office even if your co-workers are doing so. If you have an emergency call you can step outside and take the call. In addition, watch for your cell phone ringtone, keep it classy and professional and on low volume. As soon as you are set-up on your office computer, work on setting up your email signature. Some organizations have standards for consistency and branding of email signatures so be sure to double-check what the acceptable standards are. Also record your telephone voicemail as soon as you can. Find out where the office supplies are located and stock your desk with essential supplies such as staple pins, paper clips, post-its, stapler, staple remover, pens, and pencils. You can also order your business cards. Learn the computer policies dos and don’ts regarding personalizing desktop. If it is allowed, you can put a wallpaper that motivates you such as an image of waterfalls, ocean, beach, loved ones, or flowers. The highlight of your first week at work is the meeting with your boss. Typically in this meeting, the boss clarifies and outlines their expectations of the new employee. The boss outlines what is most urgent i.e. what you should start working on immediately, review of your job description, the expected outputs and the training and orientation process. Other discussion items include the departmental goals and objectives, how progress and performance will be tracked and measured, the frequency of check-in meetings and progress status updates with your boss such as daily, every other day, weekly etc., the team, and organization strategy. You should also find out the working style of your boss, and his/her communication style and preferences such as keeping in touch through meetings, memos, daily reports, weekly reports, emails, one-on-one discussions, telephone, text, or Skype chat. What are the critical activities and tasks that you should accomplish within one month, two months and three months? What are the challenges that your boss or department is facing? What solutions do you think would be workable? What overall challenges is the Company facing? What is our core business, products and services? Who are our competitors? Start mapping out your priorities for the next 90 days and identify milestones that you should achieve at specific intervals. Ensure that your plan is realistic, do not overpromise. Your draft plan will keep changing and improving as you learn more about the organization over the next 3 months, the specific challenges facing your team and how you can contribute in solving problems and offering superior service. Share your draft workplan with your boss to get feedback, input and approval. During your first 3 months it is imperative to be clearly aligned with your boss on your work progress and performance expectations. In other words you should both be on the same page and reading from the same script. Please drop this line or any variation of it – “In my last job we used to do this and that.” You are not there anymore; this is a new job and a new organization. Things will likely be handled differently so it is wise to drop the romantic association with your old job and how things used to work there and get ready to roll-up your sleeves and learn the new ropes at your new place of work. Exhibit a cheerful willingness and eagerness to learn and be open minded. Pack a small bag of personal items that you can keep discreetly in your desk drawers. These toiletries and other items can include personal hygiene items such as: small hand creams/lotion, hand sanitizer, toothpicks, dental floss, mints, extra cell phone charger, an extra tie, deodorant, tissues, coffee mug, shoe brush and a hair comb or brush. You could also carry a shawl in cases where the office gets too cold from the air-conditioning. You never know when you might need some money. Carry some cash and some spare change in case you want to buy a snack from a vending machine. Initially focus on talking to colleagues within your immediate department or team to learn more about them. Be genuinely interested in them; learn about them as people, their roles, and what they like about working for the Company. Ask about the unwritten rules of the Company and ask what tips and advice they can give a newbie. Building relationships starts on your first day at work. Later on reach out to co-workers in other departments and get to know them. Take time to study the organization chart if one is available. If not you can ask colleagues or HR to explain to you the structure of the organization. Be especially keen to know where you fit in within the overall organization structure. Know who the CEO is, the CEO’s direct reports, who reports to who, where your boss fits in within the organization structure, is the reporting structure for the organization hierarchical or flat/horizontal? What are the implications of the structure in terms of executing your daily tasks? Figure out how your role contributes to the big picture and the company’s bottom-line. On your first week of work, pace yourself, know what your capabilities are but most importantly understand the context of the organization and the new job which you will be performing. The marriage between your skills and the organization context is what will bring you success in your new job. Take a reasonable time to “break in” to your new job. Adopt a good rhythm. Do not move too fast or too slow at the outset. Move at a moderate speed until you get your footing right then you can take-off at a speed that you can handle comfortably – just like an airplane which has to taxi first before it takes-off. What are the shared values, norms and symbols that govern the behavior of employees at the Company? How do existing employees demonstrate these values? How do the values of the Company align with your personal values? Read about the company culture and ask probing questions to understand the culture and how you can demonstrate it on your day to day work. Also read and understand the history, vision and mission of the Company and align your work output to support the strategic direction and goals of the organization. A typical day one tradition is to have lunch with the new staff member or at a minimum your new boss could have lunch with you. Whether the lunch is with your new boss only, or new co-workers only, or new co-workers and boss, when invited for lunch you should accept the invitation. You can sacrifice your packed lunch for day one, perhaps it could be dinner. Be pleasant and friendly during lunch, be kind to waiters and thank your co-workers and boss at the end of the lunch. Once you are set-up on your email and computer, take a peek at your calendar. There could be some pre-planned meetings and orientation sessions on your calendar. Also if you have already started talking with colleagues you can start scheduling additional one-on-one orientation meetings with key team members. Where is the nearest exit in case of an emergency? On your first week in a new office, you should proactively look out for the exit routes/signs. An emergency can happen at any time so you should be prepared. Inquire about the emergency evacuation protocols in case of a fire. What are the fire drill procedures? Where should staff assemble outside during an emergency? Where is the shelter in place if there is a tornado, winter storm, lock-down alert or other emergency? In general, print only when necessary. Learn where the photocopiers and printers are located, and how they are operated. Inquire about the printing norms/culture such as: using recycled paper, double sided printing instead of single sided, inquire about the color printing policies, how to do gray scale printing etc. Since color ink cartridges are expensive, be cost conscious by keeping color printing to a minimum. Choose black and white printing over color to the greatest extent possible. Should you switch off your computer and monitor at the end of the day? Should the printer and photocopier be switched off at the end of the day or should they be left on standby mode? Should you switch off lights after leaving a meeting room? Should you run the dishwasher only when it is full? Should you switch off office lights when there is adequate natural sunlight during the day? If temperature is not controlled centrally, what are the optimal low and high settings for the thermostat? Find out what the energy saving policies are, and double-check with IT on issues such as switching off your computer at the end of the day because perhaps IT does back-ups at night, and they could require all computers to be on. By being energy conscious you not only contribute to the financial well-being of your Company but you also help the Environment. Take advantage of your first week at work to start preparing your to-do list. There could be things that need to be done immediately. Perhaps your predecessor had some unfinished deadlines to meet and you are required to jump in and prioritize them immediately. Your to-do List will help you to keep track of many moving pieces in a new and unfamiliar environment. 39. Should you Eat at your Desk or Away from it? What time do your co-workers go for lunch? Do they eat lunch at their desks or away from their desks? Observe what your co-workers do and also double-check what the official policy is regarding eating lunch in the office. If there is a staff kitchen, walk there during lunch break to observe what is going on. Ultimately you should choose an option that you are most comfortable with. Save critical telephone numbers such as the front desk, HR and your boss in case you have to reach someone at the office urgently or in an emergency. For example, you might leave home on time on your first week of work but there could be an unexpected major delay on the freeway or train. You can then make a call to alert your boss appropriately. You might encounter a new software or application that you haven’t used before. You can search online for tutorial articles and videos to brush up on the new skills required. With multitude of learning resources available online, on the job learning should be a less daunting experience than it used to be in the past. Treat the front office staff, security guard and cleaning team with great respect. Always acknowledge them, say hello in the morning and goodnight when you leave in the evening. Take time to chit chat with them, learn their names and get to know them as individuals. The office is a microcosm of society and there are bound to be people spreading gossip, office politics, rumors, cliques, and some feuding parties for whatever reason. Be wary of the crowd that you associate with. There could be some colleagues who might approach you with some dirt and warnings about others, but take this information with a pinch of salt. Make your own judgements. Take your time to pick out the right crowd. You don’t want to end up in the trouble-maker’s crowd and risk a blanket categorization that can be career-limiting when you want to advance upwards in the future. Be alert, not everyone has the best intentions. Know your boundaries regarding what information you are willing to share with co-workers and what information you want to keep private. 45. It’s 5 o’clock Now What? On your first week at work, don’t leave at 5 pm on the dot. Hang around a little bit, you don’t want to be labeled a ‘clock watcher’ who stops work immediately the work day is over. Take some time to read your notes and to-do list at the end of the day before heading home and plan for the following day. Say thank you to everyone who helped you especially on your first day of work. You can tell them thank you personally or send a brief thank you email. After leaving work, take some time to learn your new work neighborhood and surroundings. You can do an online map check and then physically walk outside to see landmarks. Identify alternative routes to work. You can do this by checking online maps and/or actually trying out different routes. Also ask colleagues about how they commute to work, where they park their cars, what routes they use, what are the common choke points, and which routes to avoid. Update your professional social media profile with your new job. Start connecting with your new work colleagues on professional social media platforms such as LinkedIn. Follow your new company and any key influencers within the company. Finally, after you have settled in well in your new job and you desire to excel in your career, you can get some helpful tips by reading our article on 22 Exciting Ways to be Successful at Your Job. 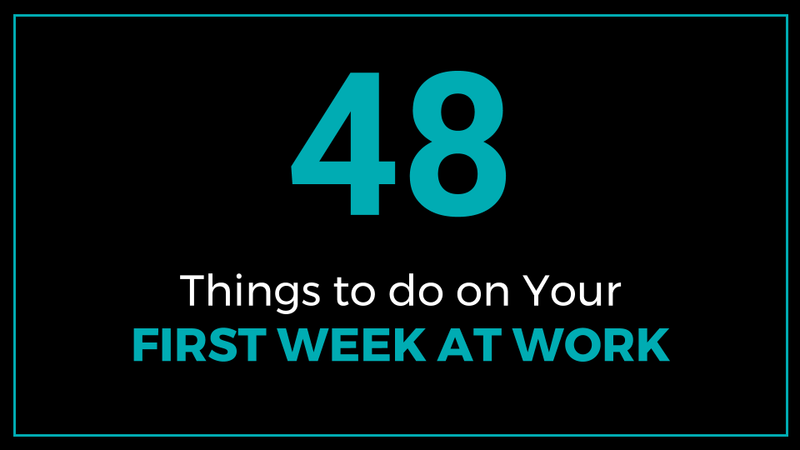 Be on the lookout to support other newbies in your Company by reaching out to help onboard the rookies and share with them this article – 48 Things To Do on Your First Week at Work. This article provides guidance on things to do on your first week at work. Tips include preparing for day one, official paperwork, setting-up your work space, learning the office layout, meeting with your boss, drafting a 30-60-90 day plan, learning the hierarchy at work, pacing yourself and developing your to-do list.